Are you searching for a vegan-friendly gift for the foodie in your life? 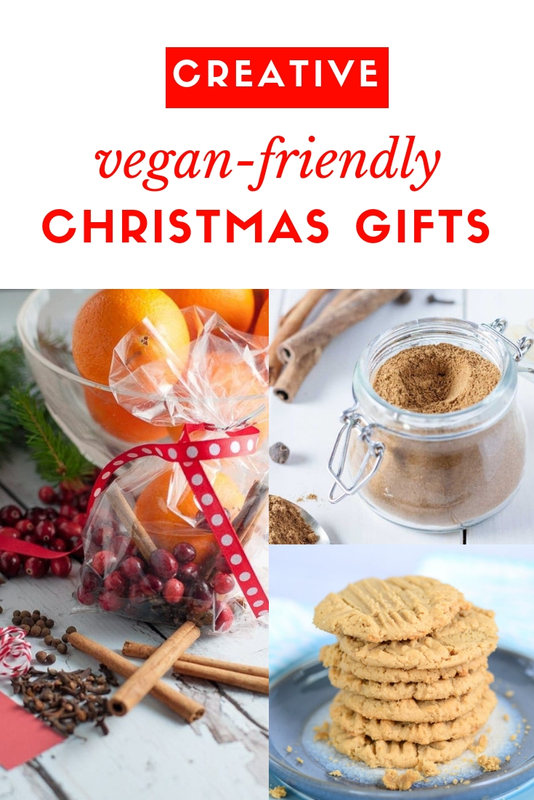 Whether your’re looking for an indulgent kitchen upgrade, an affordable stocking stuffer, or a homemade treat – this collection of vegan Christmas gifts has a little something for everyone! Looking for a little something to help upgrade the kitchen of your favorite vegan cook? From new kitchen appliances to upgraded cookware, there’s a little something for everyone. Has your favorite vegan foodie jumped on the Instant Pot bandwagon yet? If not, Christmas is the perfect time to introduce them. This is the Instant Pot model I use– I love all the programmable options and the extra modes for cooking things like homemade yogurt. Such a fun vegan Christmas gift! This is latest kitchen gadget craze – the air fryer. You can make all kinds of incredible fried treats – without all the unhealthy oils. Another creative vegan Christmas gift for your favorite foodie. Did someone say french fries? I just adore cooking in cast iron pans. It just feels so… authentic. I find them as easy to cook with as nonstick pans, without the unhealthy coatings to worry about. This great set would be a fantastic Christmas gift for any vegan foodie. I love the stemless wine glasses. In fact, we drink out of them almost every day. I love the different sizes for red and white wines, and the stemless design means less spills! These are a perfect vegan Christmas gift – or really a great gift for anyone on your list. Every vegan foodie should own one of these spiralizers. They are just too much fun! You can shred veggies for unique salads or make your own veggie noodles from sweet potatoes and zucchini. Yum! 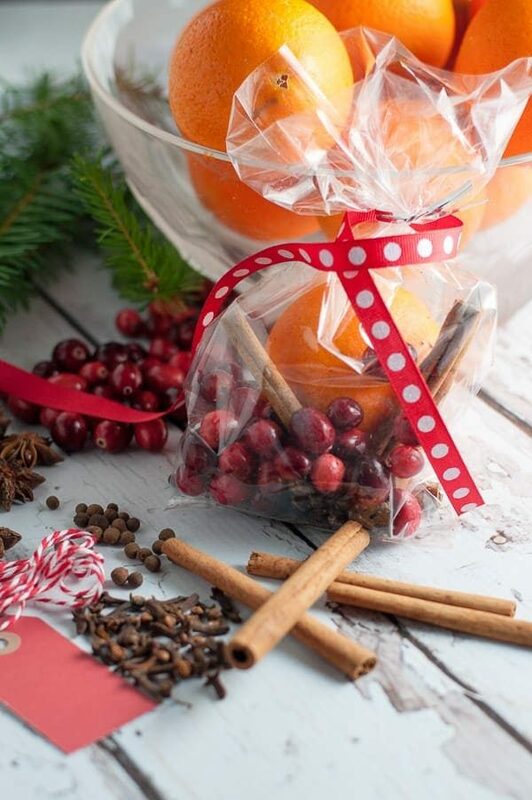 These pretty little homemade potpurri packages will make your home smell heavenly. Just leave it simmering on the stovetop or in the slow cooker on Christmas day – amazing! Aprons are really underrated. I think every serious cook should own at least one great apron – kitchens are messy places! 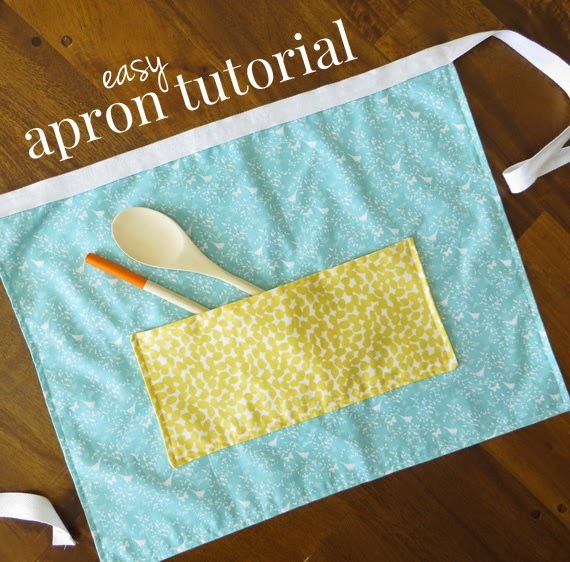 This fun DIY apron is really simple to pull together, and makes a really fun vegan-friendly Christmas gift for your favorite chef. Get those foodies a little party for their tastebuds this year. Gourmet spices and delicious infused oils make the perfect vegetarian or vegan Christmas gift. There’s nothing like the unmistakable flavor of truffles. This collection of three truffle oils from The Truffle Hunter makes an amazing vegan Christmas gift. I’ve personally tried these and they are out of this world. I love to drizzle them over homemade pizza – it takes the flavor to a new level! This is another fantastic option for the vegan foodie in your life. This pretty collection of artisan olive oils includes flavors like lemon, basil, and garlic. Plus, it comes with a decadent barrel-aged balsamic vinegar. I’m secretly hoping this one is in my own stocking! 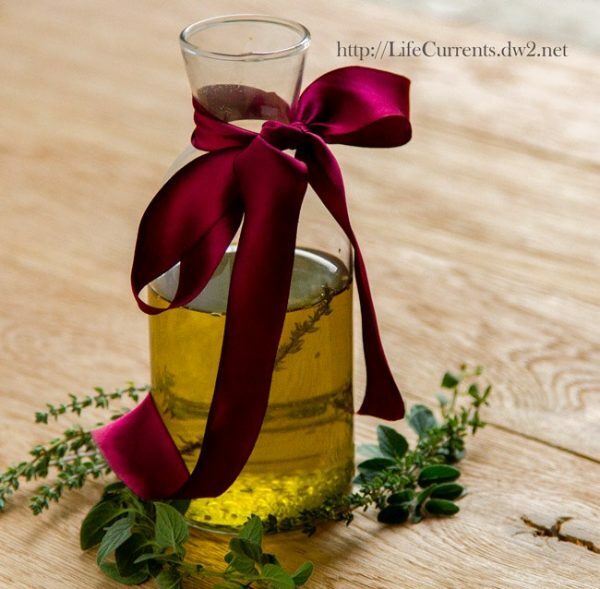 This do-it-yourself Roasted Herb Oil is a really simple and inexpensive vegan Christmas gift! It’s a great way to add tons of extra flavor to salads, soups, casseroles, and more. And you get the added bonus of bragging that you made it yourself! Did you know there are dozens of different types of salt out there? This little collection of artisan finishing salts makes for a really unique vegan Christmas gift. And it’s so much fun experimenting – you won’t believe how different each one is! 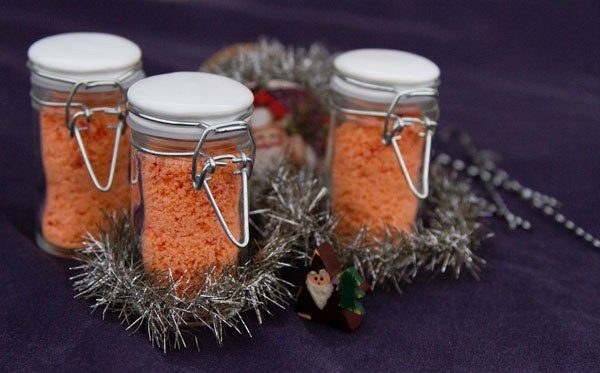 Homemade chili salt is a great DIY vegan Christmas gift – perfect for edging the glass of a bloody Mary or a margarita. Sprinkle it over corn on the cob or mash with avocados for a quick guacamole. And you won’t believe how easy it is to make yourself! Similar to the finishing salts, but with an extra helping of flavor. These little sea salt gift set includes fun flavors like porcini and saffron! These would make the coolest vegan stocking stuffers this Christmas! This adorable gift set is packed with flavorful little morsels like Bourbon Smoked Paprika and Mint Julep Sugar. So much fun – and a great value too. This would make a great stocking stuffer for any vegan foodie! 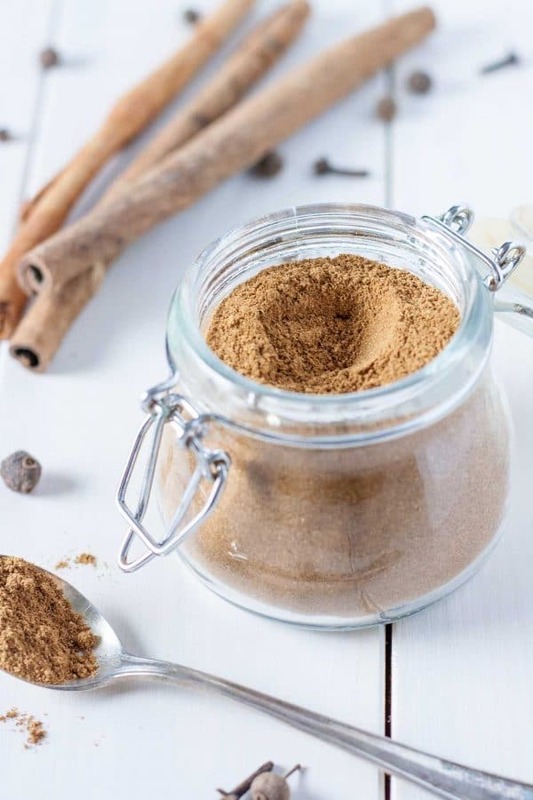 This easy homemade gingerbread spice mix smells divine, and it’s 100% vegan friendly. Perfect for holiday baking or sprinkling over those holiday beverages! Homemade vanilla extract is super easy, fun, and cost effective gift for the foodie in your life. 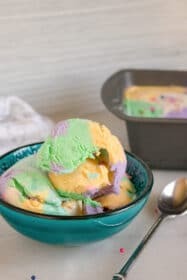 You won’t believe the difference in flavor from fresh vanilla. 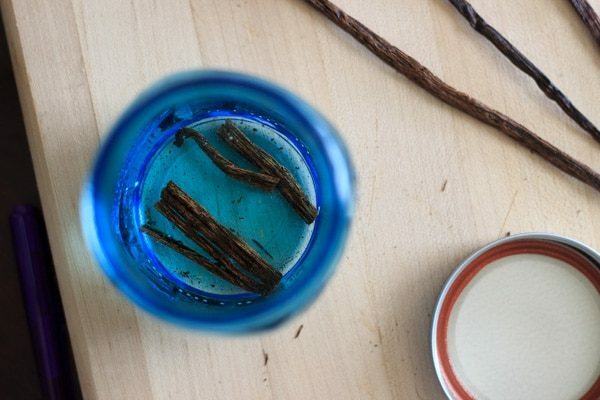 Make sure to use high quality, fresh vanilla beans for the best results! 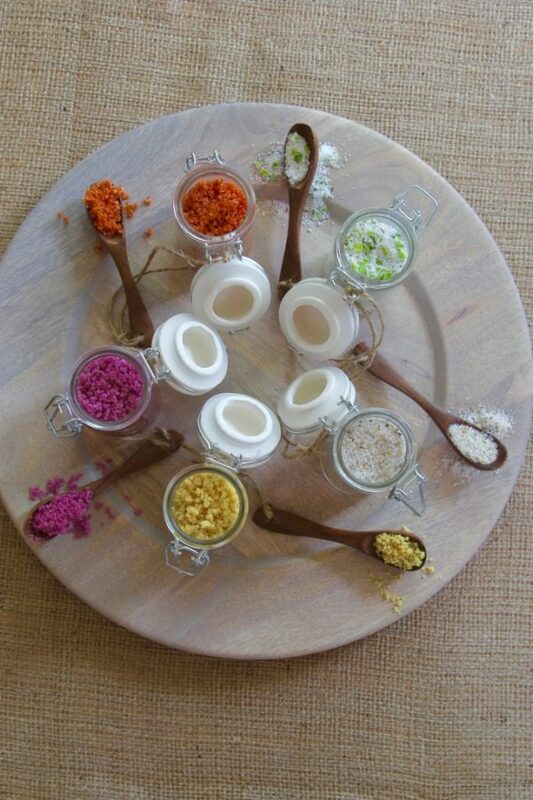 This is a do-it-yourself alternative for flavored finishing salts. With flavors like Sriracha, Pinot Noir, and Mustard, they’re sure to impress your favorite vegan cook! I always love getting new cookbooks for Christmas! I know you can find a recipe for just about anything on the internet these days, but there’s something almost magical about holding an actual physical cookbook in hand. So much more inspiring! Cookbooks are an awesome vegan Christmas gift option. Here are a few of my faves. Thug Kitchen is probably one of the most famous cookbooks out there, and has really helped to popularize vegan cooking. If you’re favorite foodie doesn’t already have a copy, this would make a fantastic Christmas gift. I absolutely adore Forks Over Knives. Besides the adorable name, it’s loaded with incredibly tasty recipes that are all 100% plant based. Another perfect vegan Christmas gift idea! This cookbook from Oh She Glows is another super helpful book for any vegan cook. Oh She Glows is a super popular vegan blog, packed full of incredible recipes. The cookbook doesn’t disappoint! Has your favorite vegan cook caught the Instant Pot craze yet? This vegan instant pot cookbook is one of my new favorites – packed with easy, plant-based recipes. This fun new cookbook is on my own wish list this year. An entire cookbook filled with vegan burgers and burritos! I can’t think of a tastier vegan Christmas gift. This incredibly unique cookbook is packed with delicious treats that are all 100% raw, vegan, and gluten-free. How cool is that? Need more yumminess under the Christmas tree? 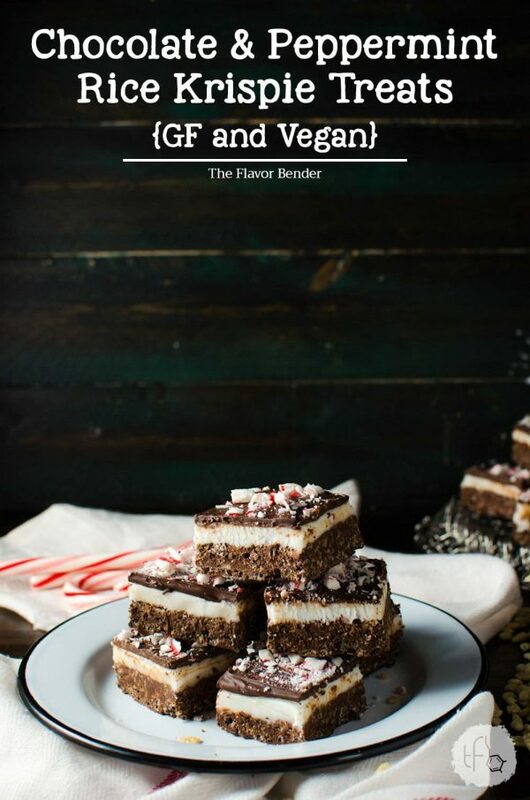 Here’s a few more edible vegan Christmas gifts that are sure to please even the pickiest tastebuds. Nothing says love quite like chocolate, right? This little chocolate sampler from Taza is filled with Mexican chocolates in all kinds of decadent flavors. And they’re 100% vegan-friendly. This would be an awesome stocking stuffer! These gift boxes from Five Star come in several different varieties, but I especially love this one. 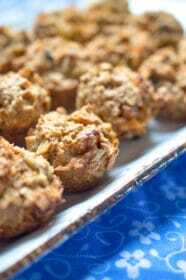 It’s loaded with flavored nuts and unique dried fruits like papayas, plums, and kiwis. This is a fun vegan Christmas gift that is also perfect for holiday snacking! This Elderflower cordial has been a favorite of mine for a long time. It has such a unique flavor, and is perfect for mixing up cocktails like my Rose & Elderflower Collins. It would be a great vegan Christmas gift. 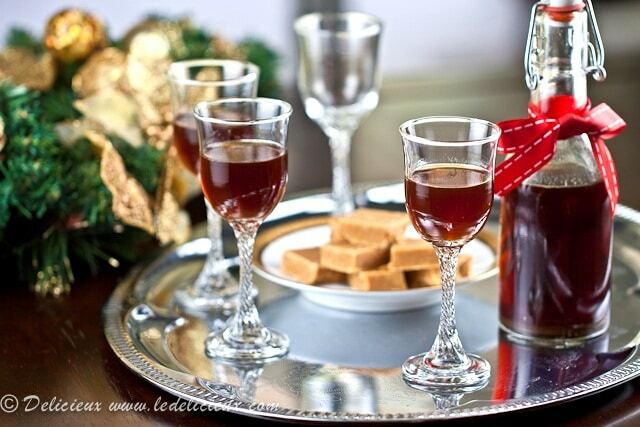 Nothing will spice up Christmas Eve better than this homemade plum pudding vodka. It’s like Christmas in a glass. 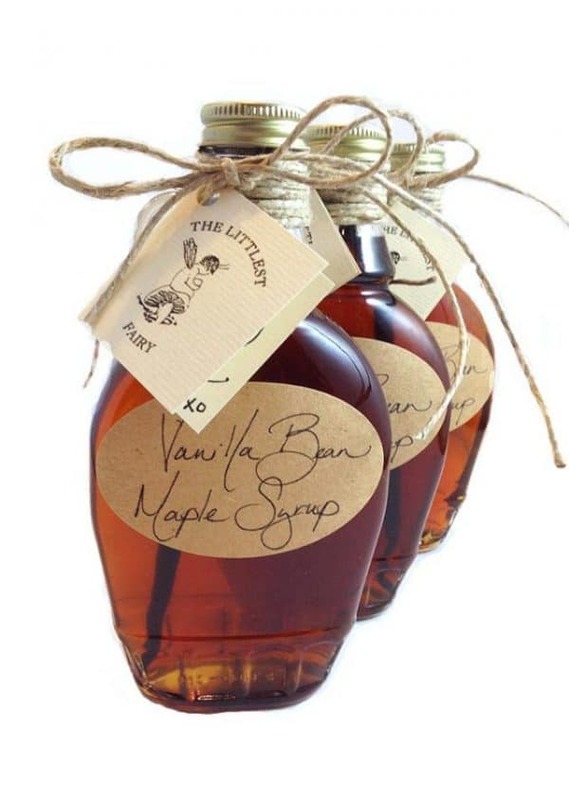 This homemade vanilla bean maple syrup is out-of-this world, and makes for a really unique vegan Christmas gift. Keep in mind it takes two weeks to “cure”, so now is the perfect time to make a few bottles for holiday gifts! 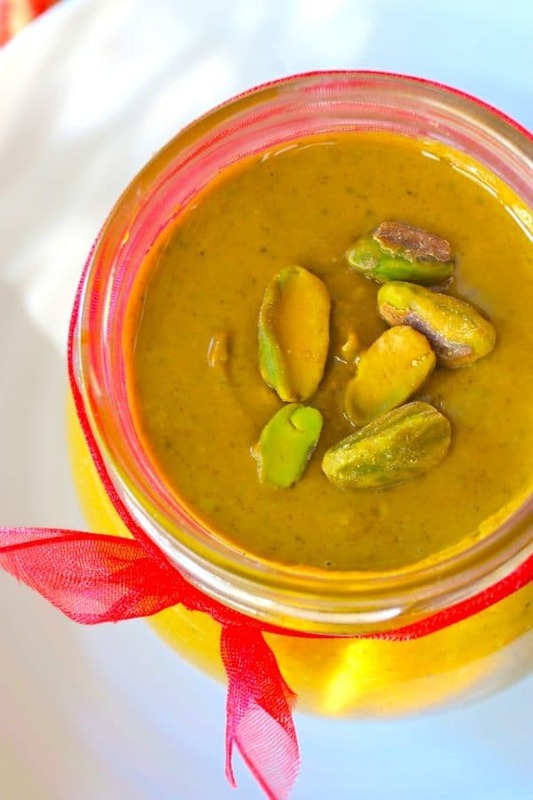 This DIY pistachio butter is so creamy and rich – you’ll never believe it’s 100% vegan. Wrap a jar up with a pretty bow for a unique vegan Christmas gift fit for a foodie. Know someone that likes a little spice in their life? This might be the coolest hot sauce set I’ve seen yet. It’s packed with fiery flavors like Scotch Bonnet and Scorpion Hot Sauce. And every flavor is 100% vegan and gluten-free. Amazing. 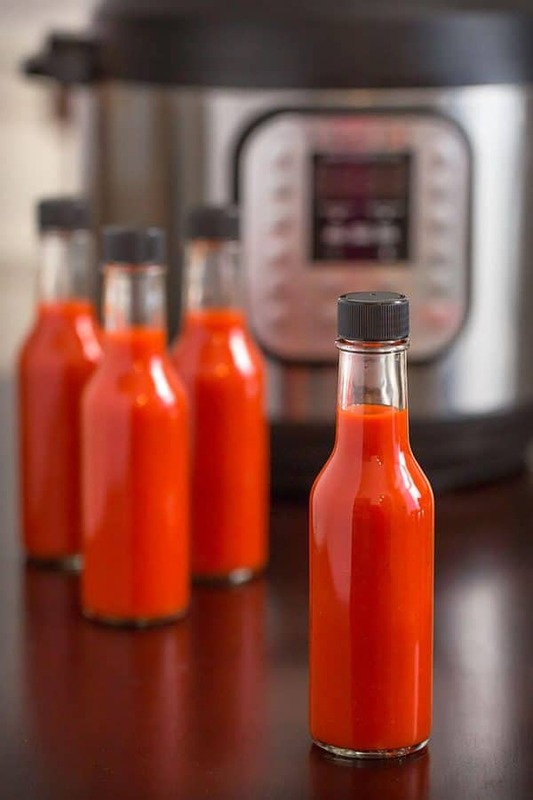 Instant Pot Hot Sauce is really fast and fun to make with your favorite chile peppers and just a few simple ingredients. You can control the flavor and heat, and it tastes great! These fiery little stocking stuffers will light up anyone’s Christmas morning. 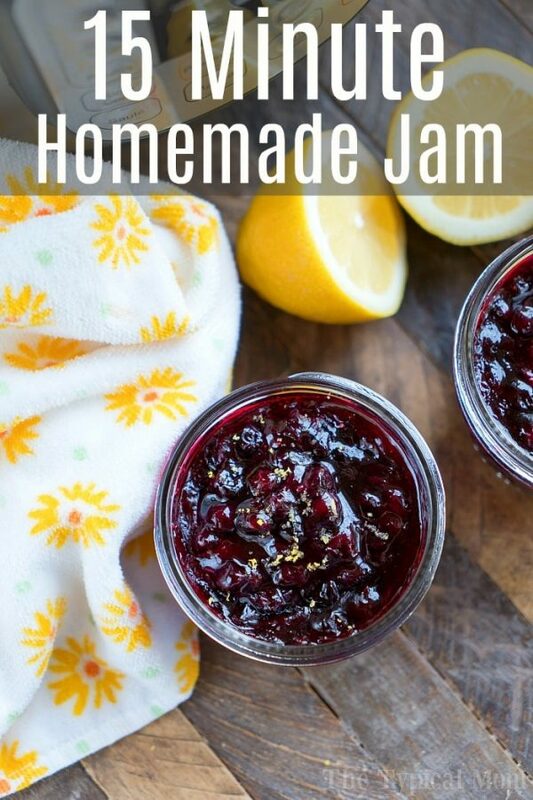 Have you ever wanted to make homemade jam? Now you can make fresh jam in your Instant Pot in just 15 minutes. Make a few flavors for unique stocking stuffers – perfect for a vegan Christmas gift! And if nothing else strikes your fancy – go the old fashioned route. Cookies! These vegan Christmas cookies will please foodies of all ages. 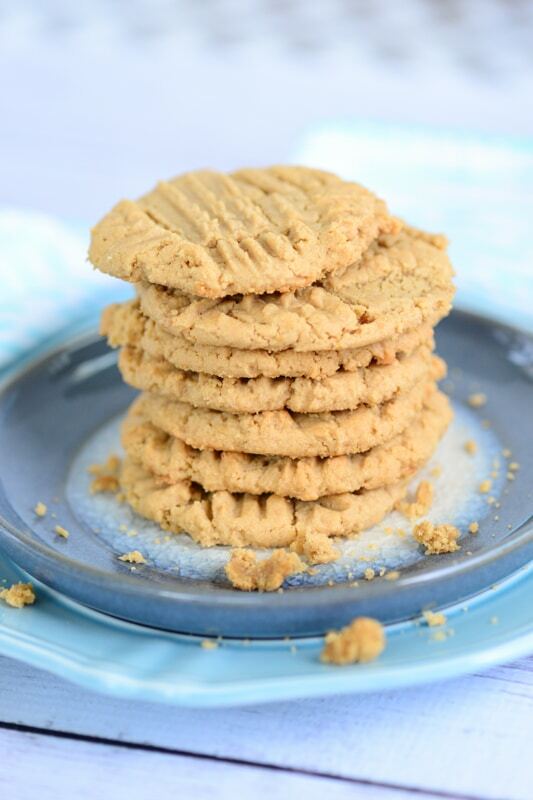 These vegan peanut butter cookies are just perfect for a fun Christmas gift. Who doesn’t love homemade peanut butter cookies? And the only thing better than peanut butter is… chocolate. 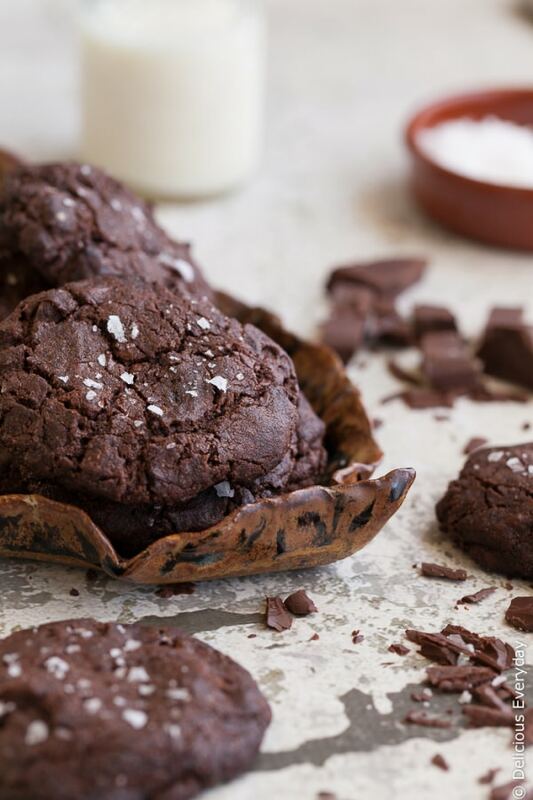 These double chocolate cookies make a super sweet vegan Christmas gift. 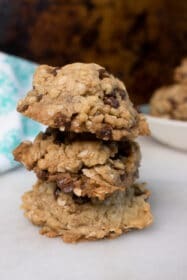 An alternative to cookies, these vegan rice krispie treats are so nostalgic and fun. And you get extra credit for making them yourself.